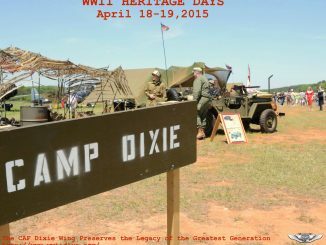 PRESS RELEASE – The Dixie Wing of the Commemorative Force hosted one of its most successful World War II Heritage Days events April 18 and 19, despite weekend rain. 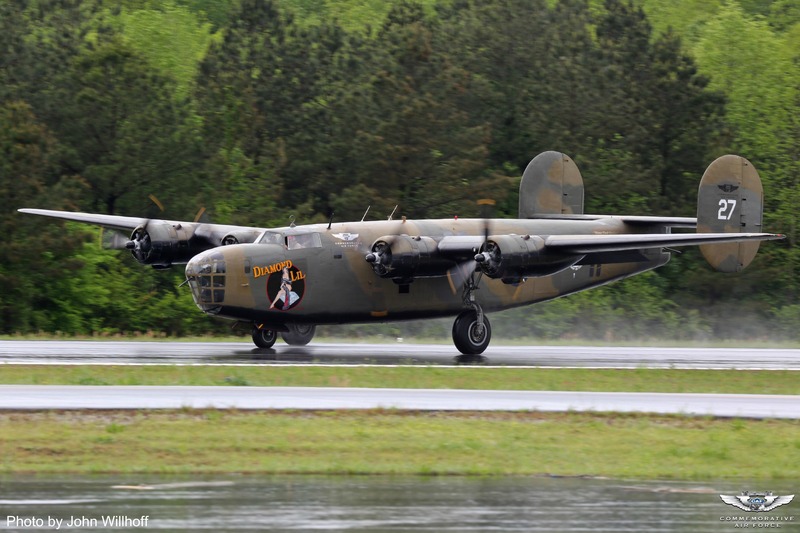 Guests witnessed the arrival of a rare B-24, Diamond Lil; and watched a simulated battle with re-enactors portraying German and American troops in a ground fight near the Dixie Wing hangar.Several seminars over the weekend drew crowds to hear the stories and recollections of many WWII veterans, including a Corsair pilot, B-24 crew members, the last survivor of Merrill’s Marauders, and women who served in the war in various capacities. Veterans were the highlight of the weekend as they answered questions and posed for numerous photos. The annual hangar dance, Keep ‘em Flying,” was a sell-out and guests danced to the big-band music of the 40s within view of a classic Corsair fighter plane. 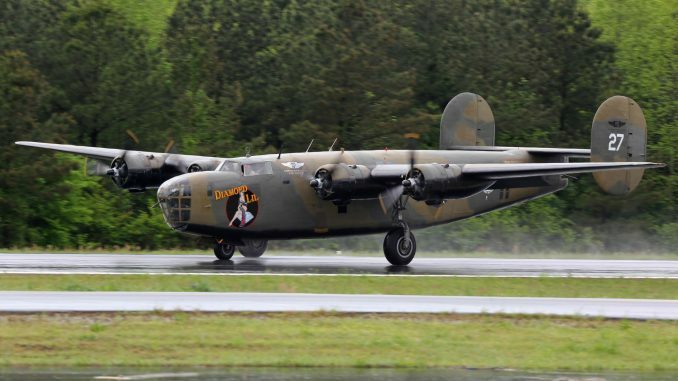 “The many Wing members who worked to prepare the12th annual WWII Heritage Days were pleased to see such a turnout, despite the weather,” said Jim Buckley, Dixie Wing leader. “We are proud to honor the accomplishments and sacrifices of WWII veterans through this annual event. 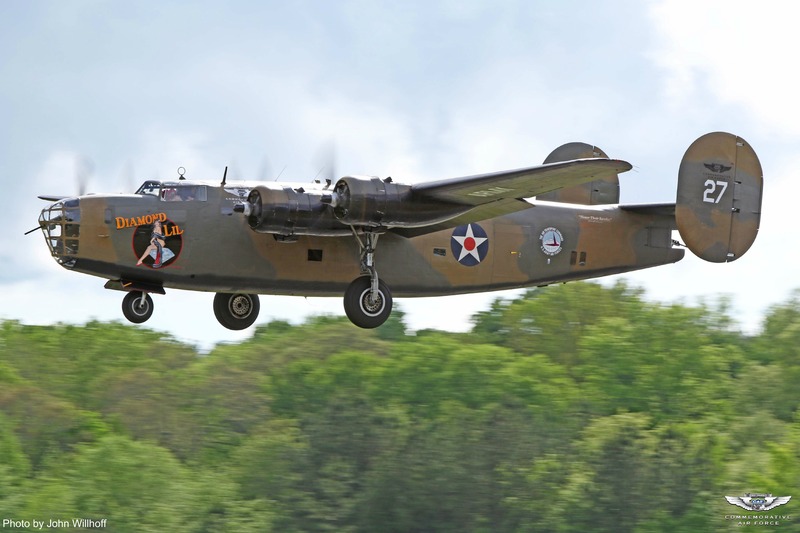 It supports our mission of education, and it is rewarding to see our veterans receive the respect they so richly deserve.”The two-day event was an early celebration of the 70th Anniversary of the Allied victory and end of the Second World War in 1945. 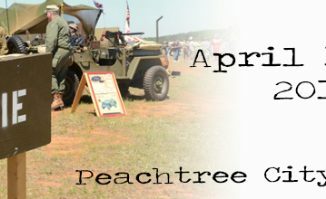 The program provided a living history experience unique to the state of Georgia, bringing together historic aircraft, vintage military vehicles, antique cars, educational displays and demonstrations, and a mock military ground battle. 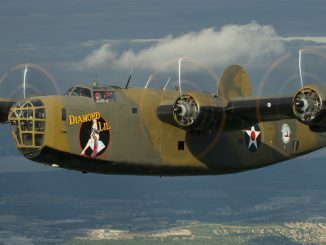 Proceeds from the dance cover costs associated with hosting WWII Heritage Days, as well as the ongoing preservation of the group’s historic aircraft and “Education through Living History”, a World War II history program made available by CAF Dixie Wing volunteers to schools and youth groups free of charge. The sun came out just in time for a ride in the afternoon.